Like many LJ readers these days, I've been leading a bit of a techno-nomadic lifestyle as of the past few years—jumping from network to network, access point to access point, as I bounce around the real world while maintaining my connection to the Internet and other networks I use on a daily basis. As of late, I've found that more and more networks are starting to block outbound ports like SMTP (port 25), SSH (port 22) and others. It becomes really frustrating when you drop into a local coffee house expecting to be able to fire up your SSH client and get a few things done, and you can't, because the network's blocking you. However, I have yet to run across a network that blocks HTTPS outbound (port 443). After a bit of fiddling with a Raspberry Pi 2 I have at home, I was able to get a nice clean solution that lets me hit various services on the Raspberry Pi via port 443—allowing me to walk around blocked ports and hobbled networks so I can do the things I need to do. In a nutshell, I have set up this Raspberry Pi to act as an OpenVPN endpoint, SSH endpoint and Apache server—with all these services listening on port 443 so networks with restrictive policies aren't an issue. This solution will work on most networks, but firewalls that do deep packet inspection on outbound traffic still can block traffic that's tunneled using this method. However, I haven't been on a network that does that...yet. Also, while I use a lot of cryptography-based solutions here (OpenVPN, HTTPS, SSH), I haven't done a strict security audit of this setup. DNS may leak information, for example, and there may be other things I haven't thought of. I'm not recommending this as a way to hide all your traffic—I just use this so that I can connect to the Internet in an unfettered way when I'm out and about. Let's start off with what you need to put this solution together. I'm using this on a Raspberry Pi 2 at home, running the latest Raspbian, but this should work just fine on a Raspberry Pi Model B, as well. It fits within the 512MB of RAM footprint quite easily, although performance may be a bit slower, because the Raspberry Pi Model B has a single-core CPU as opposed to the Pi 2's quad-core. My Raspberry Pi 2 is behind my home's router/firewall, so I get the added benefit of being able to access my machines at home. This also means that any traffic I send to the Internet appears to come from my home router's IP address, so this isn't a solution designed to protect anonymity. If you don't have a Raspberry Pi, or don't want this running out of your home, it's entirely possible to run this out of a small cloud server too. Just make sure that the server's running Debian or Ubuntu, as these instructions are targeted at Debian-based distributions. Figure 1. 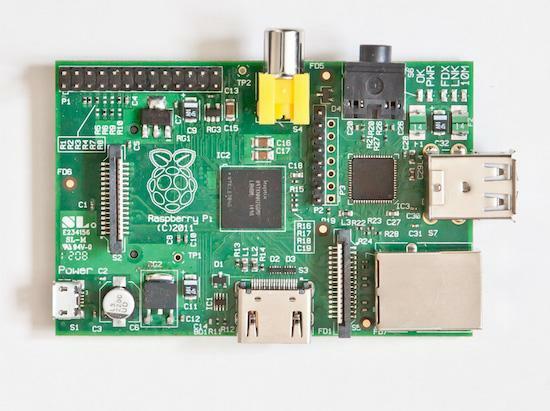 The Raspberry Pi, about to become an encrypted network endpoint. That's it! You've got a working nameserver on this machine. Next, let's move on to OpenVPN. Finally, you're going to get to the meat of configuring the OpenVPN server. You're going to create a new file, /etc/openvpn/server.conf, and you're going to stick to a default configuration for the most part. The main change you're going to do is to set up OpenVPN to use TCP rather than UDP. This is needed for the next major step to work—without OpenVPN using TCP for its network communication, you can't get things working on port 443. So, create a new file called /etc/openvpn/server.conf, and put the following configuration in it: Garrick, shrink below. Your client installation depends on the host OS of your client, but you'll need to copy your client certs and keys created above to your client, and you'll need to import those certificates and create a configuration for that client. Each client and client OS does it slightly differently and documenting each one is beyond the scope of this article, so you'll need to refer to the documentation for that client to get it running. Refer to the Resources section for OpenVPN clients for each major OS. The really interesting piece of this solution is SSLH. SSLH is a protocol multiplexer—it listens on port 443 for traffic, and then it can analyze whether the incoming packet is an SSH packet, HTTPS or OpenVPN, and it can forward that packet onto the proper service. This is what enables this solution to bypass most port blocks—you use the HTTPS port for all of this traffic, since HTTPS is rarely blocked. SSLH is now listening on port 443 and can direct traffic to SSH, Apache or OpenVPN based on the type of packet that hits it. You should be ready to go! Now you can fire up OpenVPN and set your OpenVPN client configuration to port 443, and SSLH will route it to the OpenVPN server on port 1194. But because you're talking to your server on port 443, your VPN traffic won't get blocked. Now you can land at a strange coffee shop, in a strange town, and know that your Internet will just work when you fire up your OpenVPN and point it at your Raspberry Pi. You'll also gain some encryption on your link, which will improve the privacy of your connection. Enjoy surfing the Net via your new landing point!